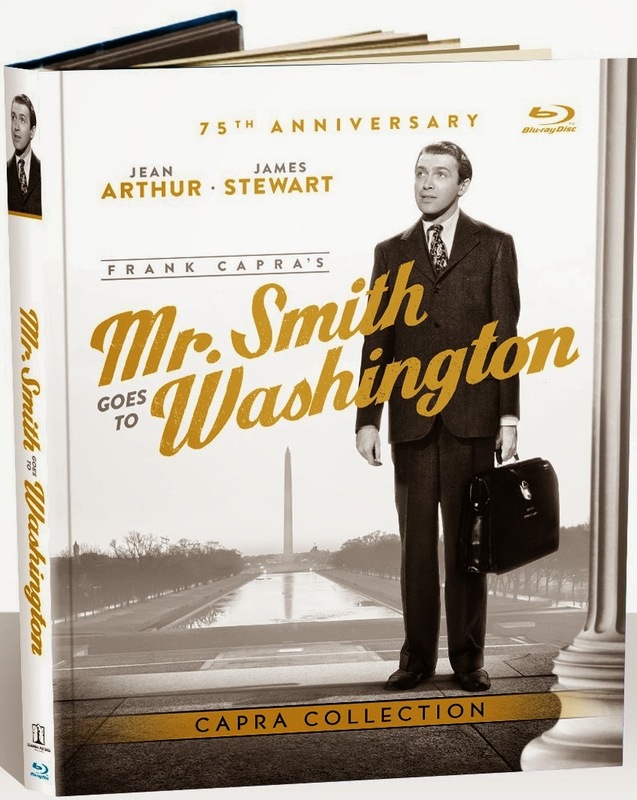 Mr. Smith Goes to Washington: 75th Anniversary Edition Will Grace Blu-ray on December 2nd! An idealistic, newly-appointed senator (James Stewart) heads to Washington, where he single-handedly battles ruthless politicians out to destroy him. Winner of the 1939 Academy Award® for Best Writing (Original Story), Mr. Smith Goes to Washington is a timeless and stirring ode to the power of democracy. The Blu-ray, digitally restored & mastered in 4K, will be presented in collectible Digibook packaging, featuring rare photos and an all-new essay by celebrated film historian Jeremy Arnold. Bonus Content Includes Five Featurettes, Commentary by Frank Capra Jr.
CULVER CITY, Calif. (Sept. 4, 2014) – MR. SMITH GOES TO WASHINGTON, one of the crown jewels in the Columbia Pictures catalog, celebrates its 75th anniversary by debuting on Blu-ray™ Dec. 2 from Sony Pictures Home Entertainment. Originally released during Hollywood’s golden year, 1939,MR. 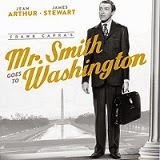 SMITH GOES TO WASHINGTON was nominated for 11 Academy Awards and follows a naive man (James Stewart) appointed to fill a vacancy in the U.S. Senate. Although his plans promptly collide with political corruption, he doesn't back down. Bonus content includes commentary by Frank Capra Jr., the original theatrical trailer, a rare international trailer that includes footage deleted from the final film, and the feature-length documentary Frank Capra’s American Dream, narrated by Ron Howard and incorporating interviews with the director's friends, colleagues and admirers. The featurettes include “Frank Capra Jr. Remembers ... Mr. Smith Goes To Washington,” in which the son of the famous director offers insight on his father’s technique, the motivation of the actors and the production of the film. Also included are four additional featurettes offering a behind-the-scenes look at one of Hollywood’s greatest and most influential directors.